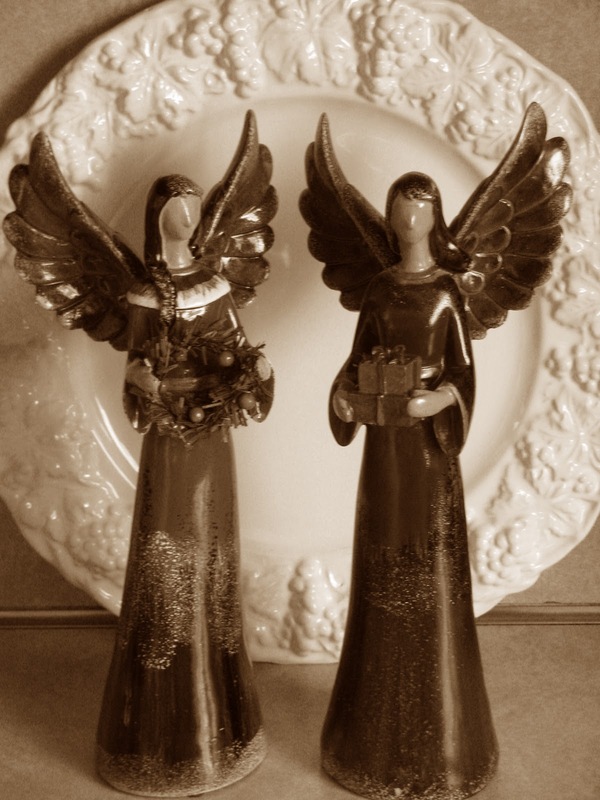 These two angels were for sale in the local pharmacy and so I bought them to decorate my house for Christmas. Do you like them in sepia? I do. Mr. Linky is below. Please sign in and visit your fellow Sepia Scenes players. Lovely angels. Perfect for the Christmas decorations I think. Pretty contrast. I like the shiny highlights. The sepia angles make one think of Christmases past. Nice. I do like them very much, so elegant. Angels do they sell in pharmacy ? Strange for a drug ! Lovely picture with the plate like halo. Awesome picture and lovely angels! Your Angels are very pretty. They will look good in either color or sepia. Have a great day!